The Hyundai Motor Group is movin’ on up. Not only is the automaker announcing plans to build in the notoriously affluent Gangnam business district of Seoul (a deal which caused an uproar from the company’s labor unions and investors back in September)–Hyundai is planning on constructing South Korea’s tallest skyscraper there. According to a statement by the city, this immense 115-story building will feature offices, while an adjacent 60-story building will house exhibition spaces, a convention center, shopping area, and a hotel. Related: How successful were Hyundai’s 2014 sales figures? The new headquarters is a collaborative investment by the Hyundai Motor Co., Kia Motor Corp., and Hyundai Mobis Co. (an auto parts company), and will house 30 Hyundai affiliates. 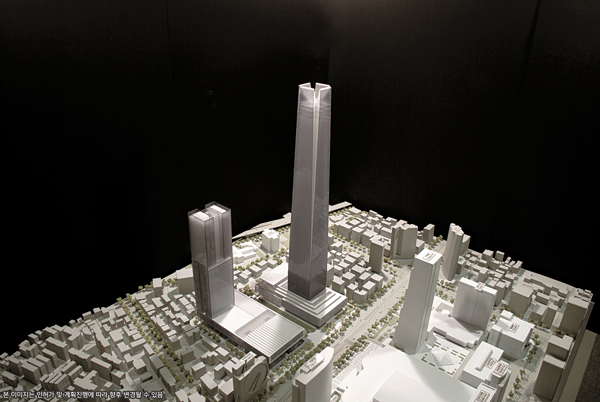 The building will surpass a nearby tower being erected by the Lotte Group by 1,873 feet (about 10% taller). News of Hyundai’s plans for the country’s tallest skyscraper were revealed by the city’s government over the weekend, but Hyundai representatives say the proposed design isn’t final and an architect hasn’t been selected yet. The city confirmed the plans had not actually been approved by municipal authorities, who will review aspects such as impact on traffic, the environment, safety concerns (as the area has revealed multiple sinkholes), and such. Hyundai intends to make the complex a “Global Business Center,” which is winning the support of the city’s government, due to its intention to turn Seoul into a hub for business conferences. “Through active cooperation with Hyundai Motor Group, we will establish sustainable development initiatives as soon as possible to further strengthen global competitiveness of Seoul city,” said Kwon Hae-yoon, head of southeastern public development promotion for Seoul. The construction alone should generate 4,225 jobs. The shrewdness and ultimate success of this plan is still under evaluation. The company’s shares fell by a third last year as it paid nearly triple the value of the 854,000-square-foot property (a $9.63 billion purchase). If approved, construction should start by the beginning of 2017.